Cage Events, held four times a year, bring together thousands of young people, grades 7-12, for an evening of entertainment, music and straight talk about issues affecting youth today. It focuses on the messages of no drugs, no gangs, stay in school and sexual abstinence. Guest artists and speakers use music, the spoken word and drama to convey the aforementioned principles. The Elementary Back-2-School Rally, held in August, provides students and their parents a venue to receive information and take advantage of services that meet specific needs. The elementary students are given backpacks with school supplies, and families receive social, health and financial services offered by TTA and other community-serving vendors at the event. Special School Assemblies are held throughout the school year by invitation of participating public schools. TTA conducts approximately 30 school assemblies per year. 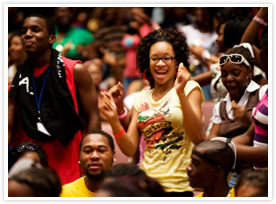 These gatherings can be gender-specific or for the entire student body. Guest speakers, such as Dr. Tony Evans and/or a sports or entertainment role model, are invited to share their life stories and experiences while challenging students to stay in school and make decisions now that will have a positive impact on their futures. Our very own Tommy (T-Ned) Ned, a recording rap artist, delivers strong messages of hope on living right, dispelling the hype of the hip hop culture through words that speak their language, but reverses their message and alters their behavior. The Principals’ Breakfast is hosted by Dr. Tony Evans four times per year on our church campus for TTA’s 73 participating public schools. The breakfast gives us an opportunity to tangibly express our appreciation of their leadership and offer encouragement and support to the important work they do for our young people. Dr. Evans delivers a stirring devotion from the Word of God and prays for wisdom, protection and provision for our principals and their schools. Additionally, the breakfast serves as a venue for principals to give their input on our services and receive updates on TTA programs. Celebrate Life Prayer Breakfast brings awareness and creates support of the pro-life movement among members of Oak Cliff Bible Fellowship and the broader community through the celebration of life and by exposing the hidden agenda of pro-choice advocates in our country. Additionally, the event brings to focus the excessive number of abortions among African Americans and its effect on the community. The overall goal is to inspire our community to support and value life of unborn children. The Annual Baby Shower provides limited-income, child-rearing mothers with essential baby items that they otherwise could not afford. 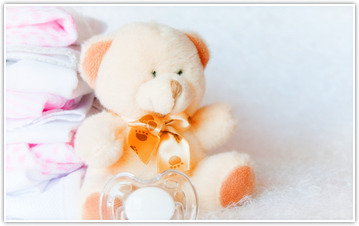 The baby shower also serves as an incentive for clients to comply with program requirements. 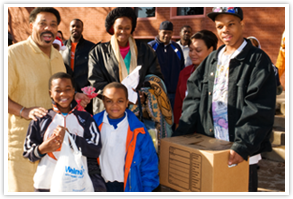 A Holiday Event of Food Baskets and Toys is a combination Thanksgiving and Christmas event for families of public school children. The schools refer the families to the program and at the event, food baskets and toys are given to registered families or delivered to families who don’t have any means of transportation or are physically unable to travel. This event can be used to expose these families to the social outreach programs of TTA. Special Fairs & Seminars, offered throughout the year, concentrate on information and awareness in the areas of jobs, health, adoption, housing, college financial assistance, etc. These events allow TTA to highlight opportunities and resources in the community that are available to its residents. Community events provide the format for comprehensive community engagement—linking services, schools, organizations and resources to create a better community for children, youth and families.